Our Family Serving Your Family Since 1936 Dignified Funeral Service for all regardless of Financial condition. Who Do You Turn to In a Time of Need? Family. Living in New Mexico is a unique experience, rooted in strong family values and traditions that tie us together as a community. 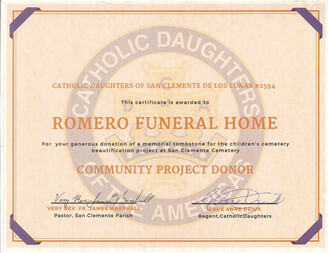 It is this sense of family and community that people think of when they turn to Romero Funeral Home for help during one of the most difficult times of life…the loss of a loved one. Because death is such a deeply personal issue, you can feel comfortable about choosing Romero Funeral Home in Belen, New Mexico. 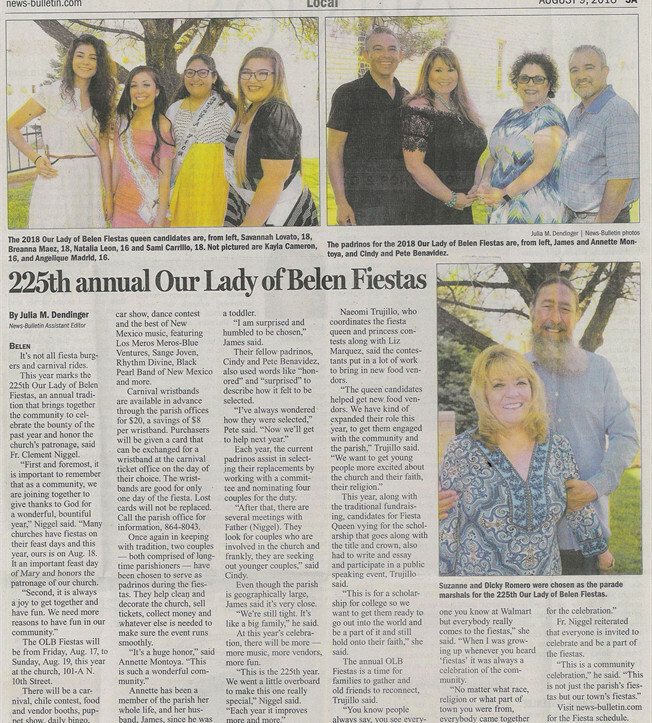 Three generations of the Romero family, spanning over 80 years, have carried on a tradition of providing personal care and attention, for not only the deceased, but for those left behind. Today, just as it was in 1936, our goal is to make the funeral arranging process as easy for you and your family as possible. Options are always presented with sensitivity and respect for your personal wishes, religious preference, and financial considerations. With you, we help to create a loving tribute that brings people together to honor and celebrate the life that was lived. As a result of this shared experience, the burden of grief is lightened. A funeral is the last thing that you will ever do for your loved one. It is also the critical first step in the healing process. 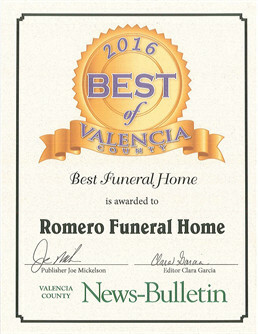 When you choose Romero Funeral Home, you can begin that journey with the peace of mind and satisfaction of knowing that your loved one was treated with the highest level of professionalism, dignity and recognition they deserved. Three generations of the Romero Funeral Home family…proudly serving the families of New Mexico for over 80 years. Nicanor C. and Alfides V. Romero founders….1936. Remembering our Veterans, Law Enforcement, and Firefighters in our prayers. In gratitude for all that you do for your country and your communities, Romero Funeral Home is proud to provide 15% off all Funeral Services for Veterans, Law Enforcement, and Firefighters.